Home Local news Dino Melaye Escaped? 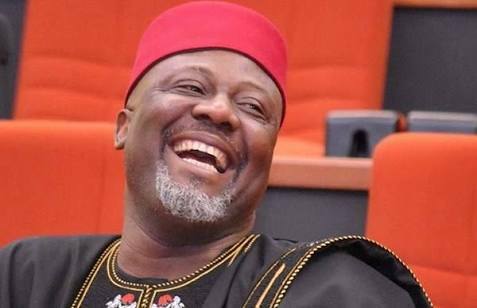 Contrary to information trending on social media most part of yesterday, some security sources say Senator Dino Melaye wasn't kidnapped as alleged but that he actually plotted his escape into a bush in other not to stand trial. As at Friday morning, controversy surrounds the whereabouts of Dino. A lawyer to the lawmaker, Yemi Mohammed, on Thursday, said the senator was attacked at Gwagwalada on his way to Lokoja on Wednesday. Mohammed, who represented Melaye’s lead counsel, Chief Mike Ozekhome (SAN), said this at a Senior Magistrate’s Court in Lokoja, Kogi State where Melaye is facing charges of illegal possession of firearms and arms dealing. According to the NAn, Mohammed told the court that he had it on good authority that Melaye was attacked in Gwagwalada on his way to Lokoja. “I learnt that he was attacked yesterday (Wednesday) in Gwagwalada on his way to Lokoja to attend his trial and up till now, I have not been able to reach him, I don’t know where he is at the moment,’’ the lawyer said. The magistrate, Sulyman Abdullah, adjourned the case till August 9 for the commencement of trial as the prosecution could not open its case due to the absence of its lead counsel, Dr Alex Izinyon (SAN). The Officer in Charge of the Legal Department of the Kogi Command of the Nigeria Police, Mr Theophilus Oteme, told the court that Izinyon had an emergency call on Wednesday that made it impossible for him to appear in court on Thursday. Oteme, therefore, applied for an adjournment until September 23 for the commencement of trial in view of the absence of the lead prosecutor. More so, one of the defendants, Melaye, was not in court. In his ruling, Abdullah turned down the application by the prosecution for a long adjournment till September 23. The magistrate, therefore, adjourned the case till August 9 and ordered that the bail earlier granted to Melaye continued. Abdullah, however, ruled that the other two accused persons, Nuhu Salihu, alias “small’’, and Kabiru Seidu, also known as “Osama’’, standing trial on a seven charges bordering on illegal possession of firearms and arms dealing, should remain remanded in the police custody. Meanwhile, Senator Ben Murray-Bruce had on his Twitter handle earlier on Thursday alleged that Melaye was abducted in the Abaji area of the FCT, Abuja. The police spokesman, Jimoh Moshood, in a statement in Abuja, however, said they had commenced an investigation into the alleged attack on the senator. “The attention of the Police were drawn to the report of the purported kidnap of Senator Dino Melaye in some sections of the media. However, the Force has commenced an investigation into the purported kidnap of Senator Dino Melaye.